Follow the link to see what is happenning in the local area, Whilst this list is extensive, it is not definative - but will give you a good overview of what is happenning in the area. Romanby Golf Course is an 18 hole golf course, based in the beautiful location of North Yorkshire, near the county town of Northallerton. Romanby Golf Course is an 18-hole championship course set in 200 acres with lakes and the River Wiske creating interesting water hazards. Romanby provides a challenging test for all golfers. Designed by course designer Will Adamson, the course is of USGA specification. The course has a par of 72 (SSS 72) and is spread across 6,663 yards of rolling countryside. The lakes and rivers create a lot of thinking, and accuracy is needed to score well. 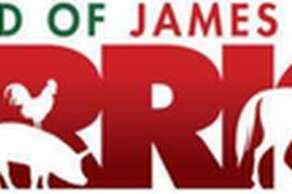 You’ve probably read the books written by James Alfred Wight or watched “All Creatures Great and Small”on TV. 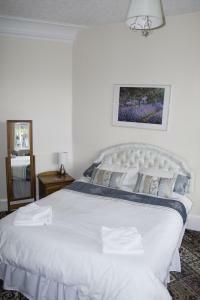 Now come and see where James Herriot, the world’s most famous vet, lived, worked and relaxed. 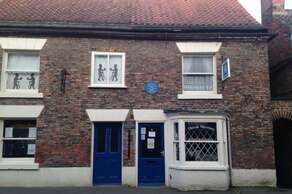 See his home and surgery in Thirsk;travel back in time to what life was like when James was a vet in Yorkshire. See the car he drove, step into the TV set, try your hand at being a vet and even experience what it was like to hide in a World War 2 air raid shelter, and don’t forget the chickens! There’s so much to see and do here…The 1940's Home, The Original Austin 7 Car, The Farrier's Workshop, Herriot Memorabilia, Fascinating Collection of Instruments, The Alf Wight Statue, Interactive Gallery, and so much more! The building chosen for the Museum is itself of historical interest. Thomas Lord, founder of Lord’s Cricket Ground, was born here in 1755. Located just a few minutes away from the A19, the course is easily accessible from the Easingwold/Wetherby and Teesside area. 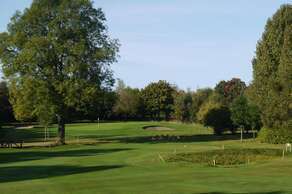 Thirsk &Northallerton Golf Club is an 18 hole golf course established in 1914. 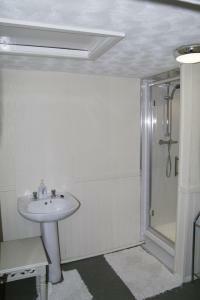 It can be found in the idyllic location of North Yorkshire, near the town of Thirsk. The course has a par of 72 (SSS 72) and is spread across 6,532 yards of rolling countryside. Monk Park, once a haven for the monks, is now a children’s Farm Park paradise set in the Hambleton Hills and it has indoor and outdoor viewing areas, a wildfowl lake and animal attractions. 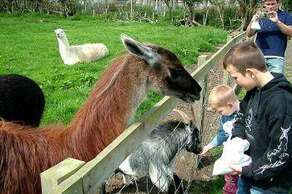 There is a varied collection of both Outdoor and Indoor Feeding Areas where you can see such as lambs, sheep, goats, calves, cattle, pigs, ponies, donkeys, horses, llamas, alpacas, wallabies, albino wallabies, deer, ducks, geese, hens, peacocks, rabbits and guinea pigs. In excess of 60,000 visitors a year cannot be wrong. 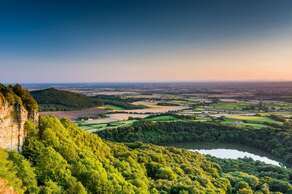 For a great free day out, head to Sutton Bank National Park Centre. A fascinating hi-tech exhibition will take you on a journey through time to discover how this iconic landscape was created and the influence it’s had on people through the ages. Outside, soak up England’s finest view on easy walking trails or head out on two wheels along the new spectacular Sutton Bank cliff edge family cycle route. A cycle centre, Sutton Bank Bikes, offers cycle hire, training and skills courses, a bike wash, repair and servicing as well as bikes and gear for sale. This Cistercian monastery was founded in 1132 as part of a missionary effort to reform Christianity in Western Europe. 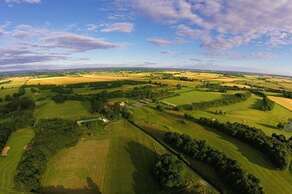 A founding community of 12 grew into one of medieval England's wealthiest with over 140 monks and over 6000 acres of lands were granted to the monestery. 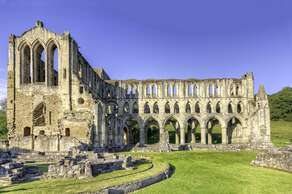 Wander the extensive ruins of the abbey to discover more about the building and how it looked at various stages of its development. The city of Ripon is located on the River Ure. 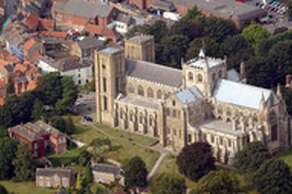 Ripon is a beautiful market town that was founded over 1300 years ago, and is famous as an old Cathedral City where monasteries have stood since the 7th Century. The Cathedral is an active, living Church within the community, and is the throne home of the bishop of Leeds. Visitors have followed the Pilgrim Trail here for over 1300 years, to enjoy the peace and prayerful tranquillity of this beautiful and ancient centre for Christian faith. The Black Sheep Brewery Visitor Centre is the ideal place for an interesting and alternative day out. Regular 'shepherded' tours of the brewery involve a fascinating trip around the traditional brewhouse and fermenting room. 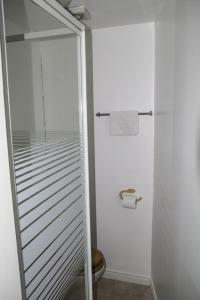 A split level Bistro &Baa…r with beautiful views over the River Ure and into the brewery itself. 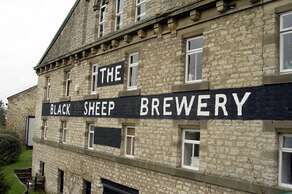 The menu celebrates Yorkshire produce and Black Sheep beers are used in many of the dishes. The friendly waiting staff know there stuff and are happy to recommend beers to go with your meal. 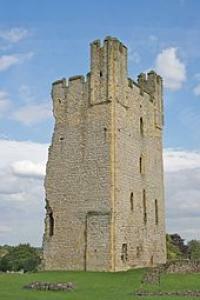 The castle was built on a slightly rocky eminence between 1186 and 1227 by Robert de Roos. There were originally two moats surrounding a rectangular complex of a D-shaped keep and outer walls. The only buildings still in good repair today are the west tower and the later mansion build by Edward Manners, the 3rd Earl of Rutland who owned the site from 1563 to 1587. The castle only changed hand once in its history when it was bought by Sir Charles Duncombe in 1689. 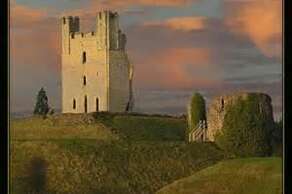 By this time the castle was mostly ruined having been besieged in 1644 by Parliamentary forces for three months. Once the castle was surrendered the fortifications including the eastern half of the keep were demolished. 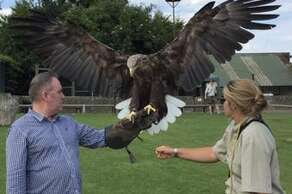 Lightwater Valley is a family theme park with rides to suit all ages. Are You Ready for the Ultimate Day Out? It may be nestled in the peace and tranquillity of the North Yorkshire Dales, but when it comes to fun and excitement for the whole family you can't beat Lightwater Valley! There are rides and attractions to suit all age groups to ensure your visit is a true family occasion. Only 15 minutes from the A1, the park has convenient free parking, wheelchair access and is renowned for its friendly and welcoming atmosphere. 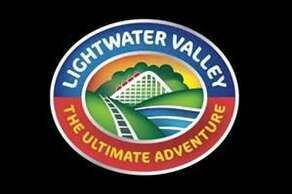 In fact Lightwater Valley has thought of everything to make sure you have a memorable visit. For those who feel like a short breather from the fast pace of the park, then take advantage of the scenic nature trail created by Lightwater Valley to highlight the natural beauty of the park. It has the longest rollercoaster in Europe and thrilling rides including the Sewer Rat and the Black Widow's Web. There are also plenty of rides and attractions. In 1132, 13 monks came here to start a simpler life. 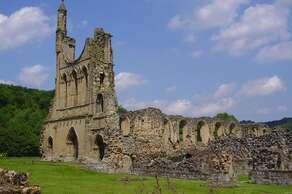 Over 400 years later, when Henry VIII demanded the closure of the Abbey, the monks left behind the most complete Cistercian abbey remains in the country. Dramatic and well preserved, the ruins are fascinating and worth a visit. 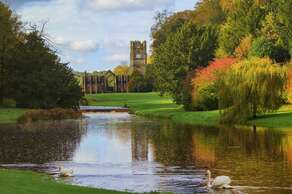 During the 18th-century John Aislabie had great plans to impress visitors to his Yorkshire estate and so turned the surrounding woods and valleys into the Georgian water gardens we see today. The estate is also home to a deer park, church and grand hall.